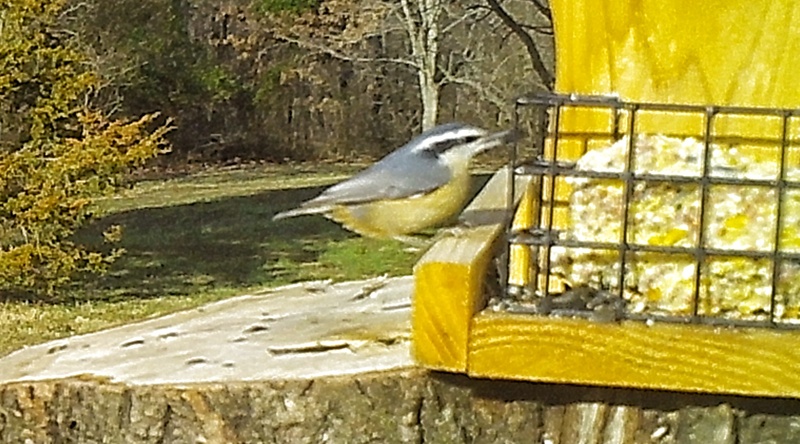 I I don’t know what this bird is but if I had to guess I’d go with red-breasted nuthatch that is standing in the glow off the side of the feeder. My theory says that these two birds are the same species. They appear different because of changing light conditions. It would be cool to be wrong because that would mean we have a capture of a bird rare to this area. 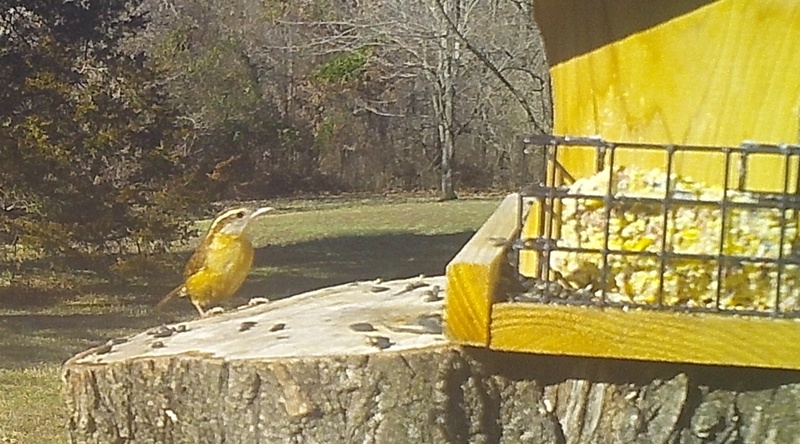 ETA: I am reliably informed that the bird is question is a Carolina Wren. Hi there. I think the first bird might be a meadowlark of some type. It’s missing the typical black “v” that is on it’s chest, but it looks so much like one! Hi Sarah. There is quite a resemblance, but the lack of the chest markings is a big strike against your meadowlark ID, I am less sure of my nuthatch call though. I thought there might be differences in the male and female meadowlark to account for the lack of a V but I am not seeing any pics of a female online. I’ll have to track down my Sibley. I posted the picture to another site and someone came up with Carolina Wren, saying he knew right away because he has seen a bazillion of them in his yard. Link in the post.